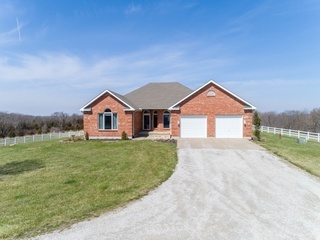 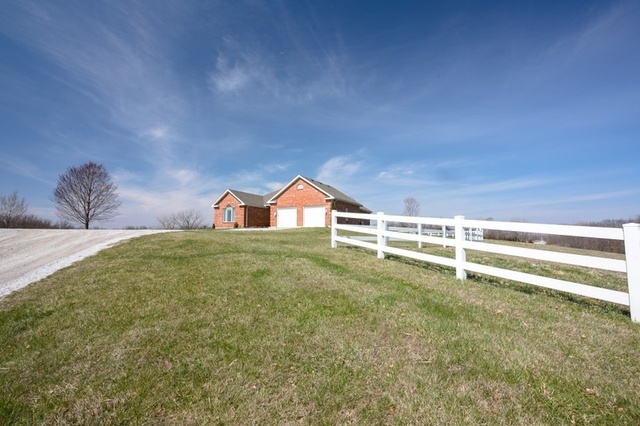 This beautiful, close in 65-acre estate on paved road features scenic hill-top views, rolling hills, hardwood timber, fenced and cross fenced pastures, custom-built, all brick 4 bedroom true ranch home with finished walkout basement, oversized 2-car garage, 60×60 metal outbuilding and much more! 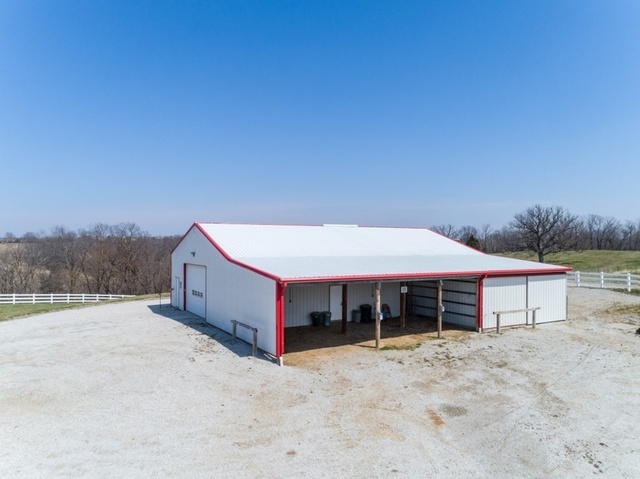 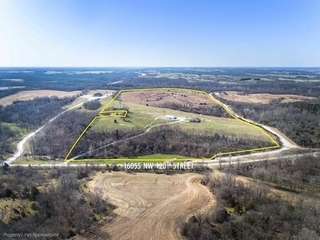 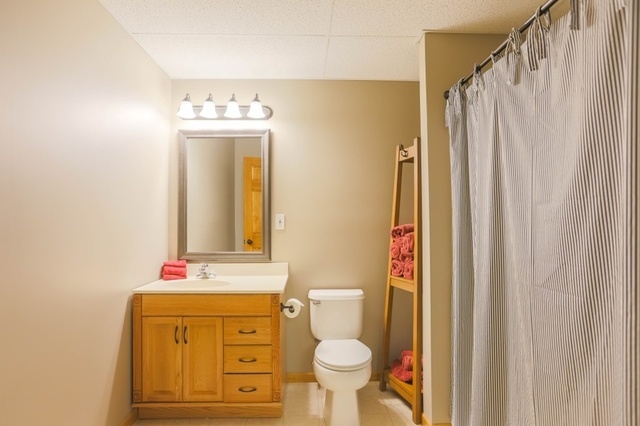 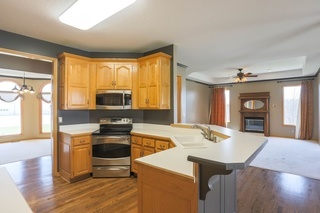 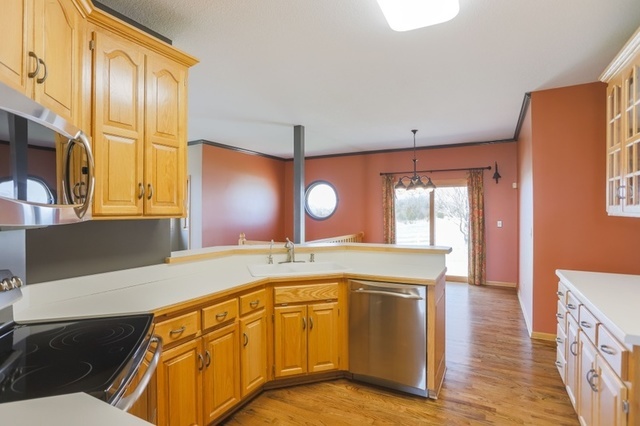 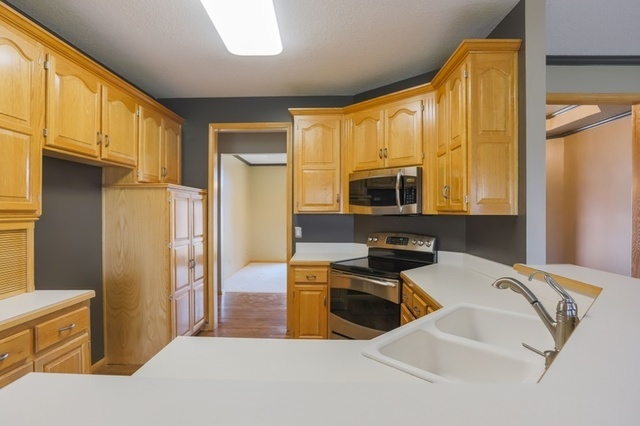 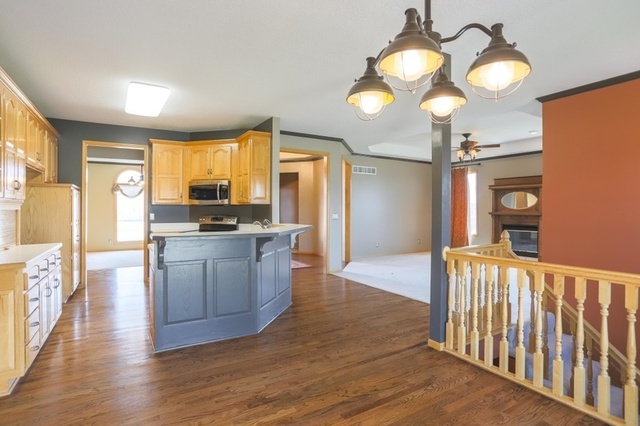 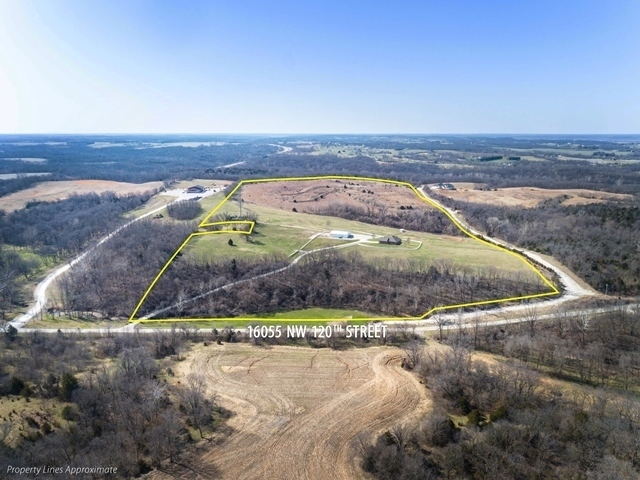 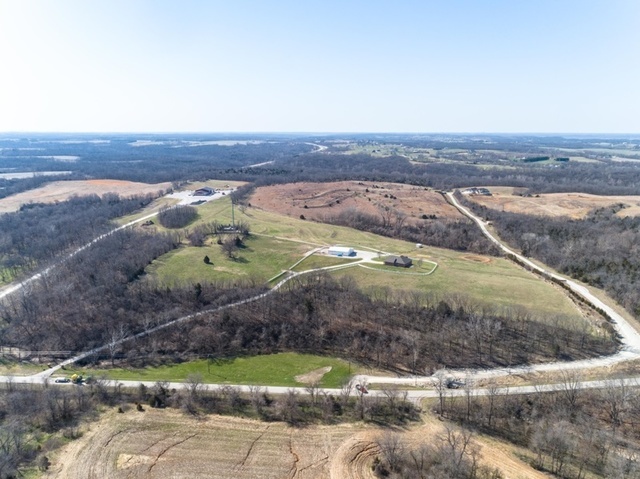 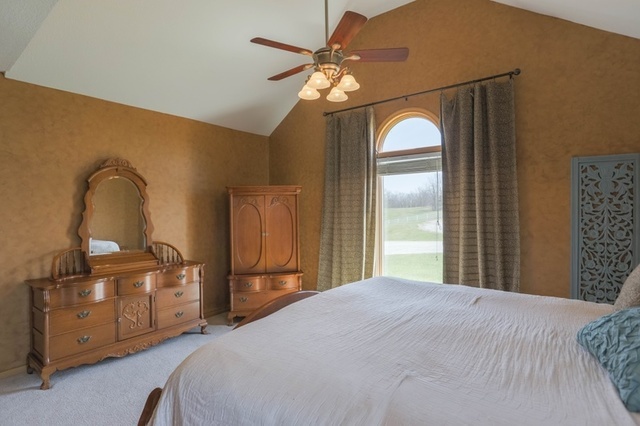 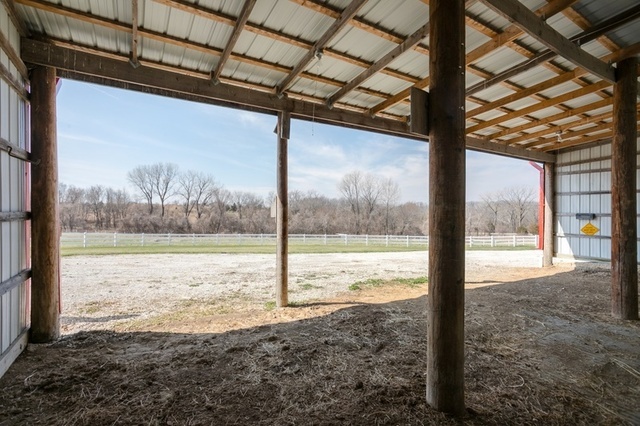 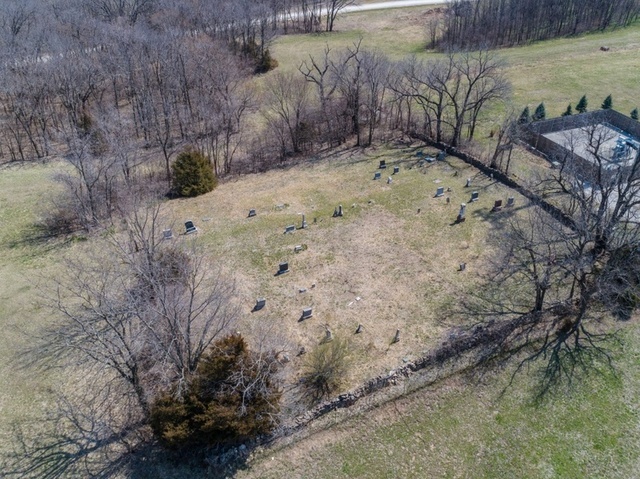 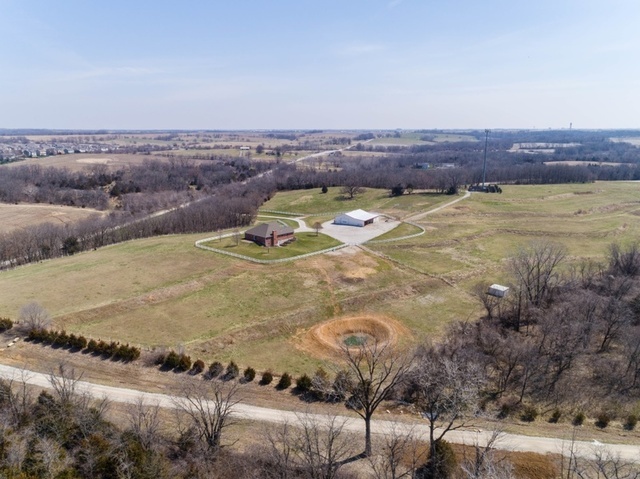 Conveniently located just north of Kansas City International Airport and west of I-435 in unincorporated Platte County, Missouri, this close in acreage offers peaceful country living with city amenities just minutes away. 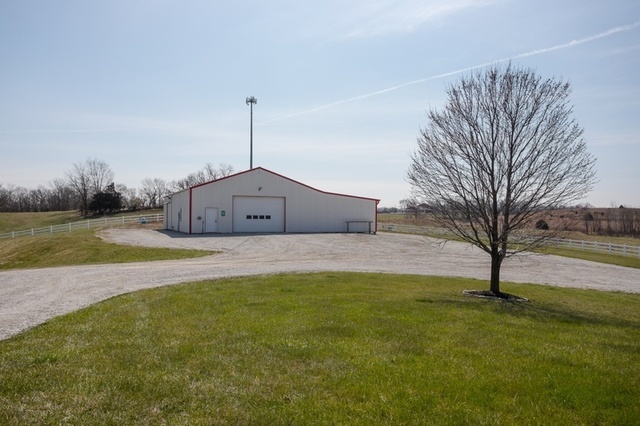 The property is also within the Platte County R-III School District. 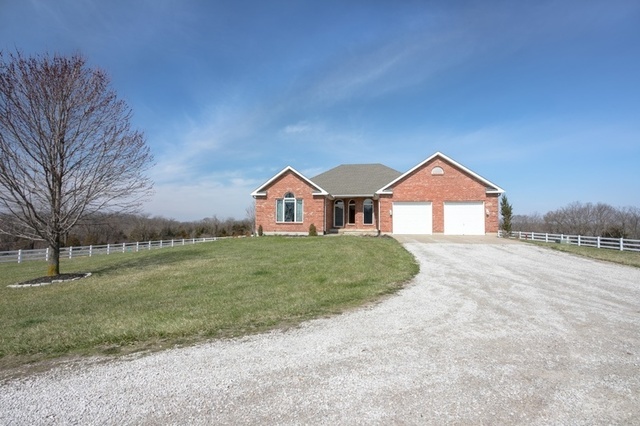 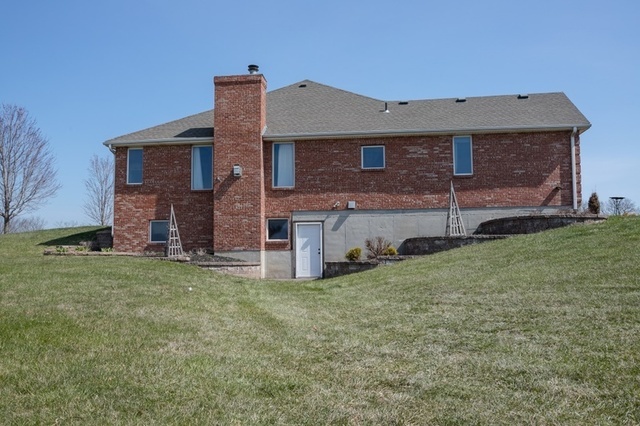 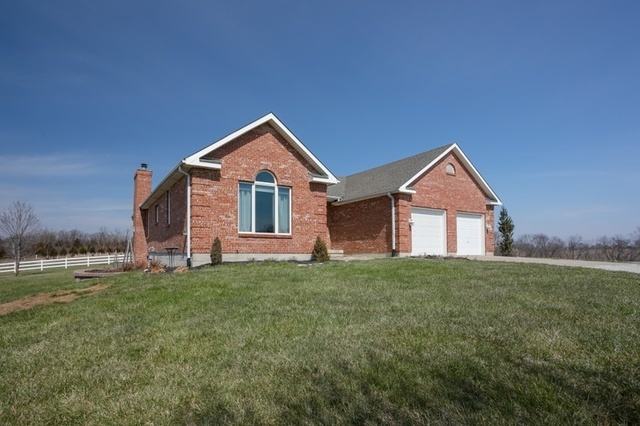 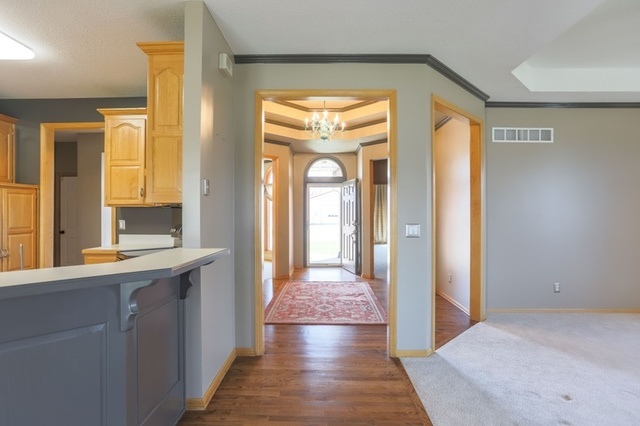 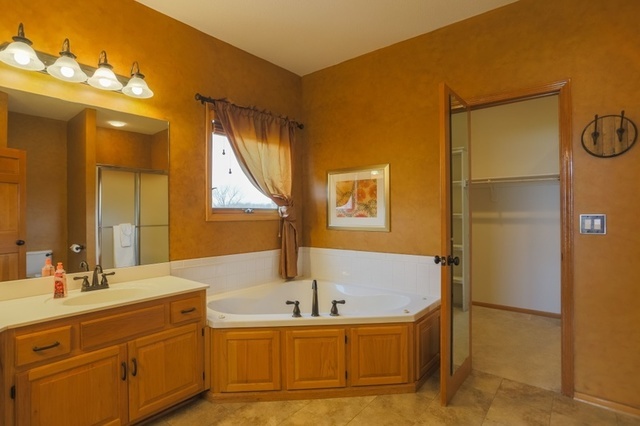 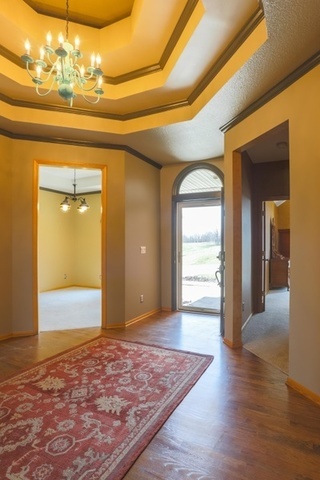 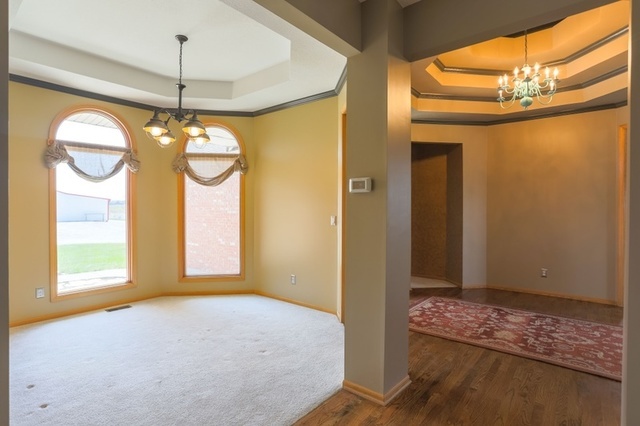 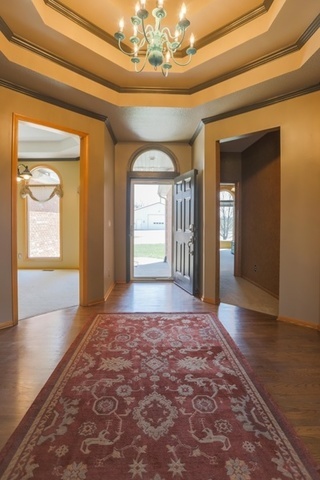 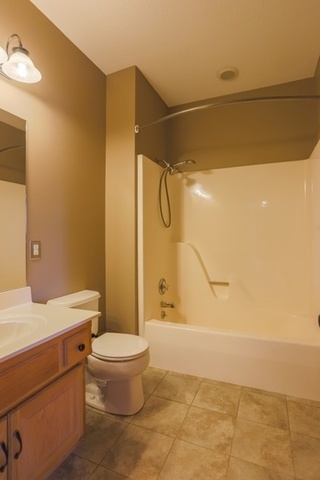 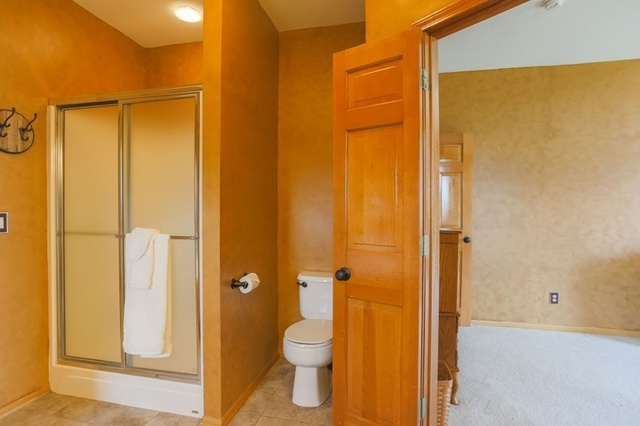 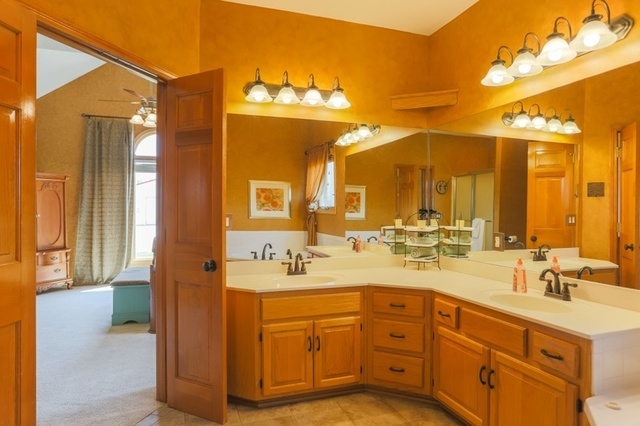 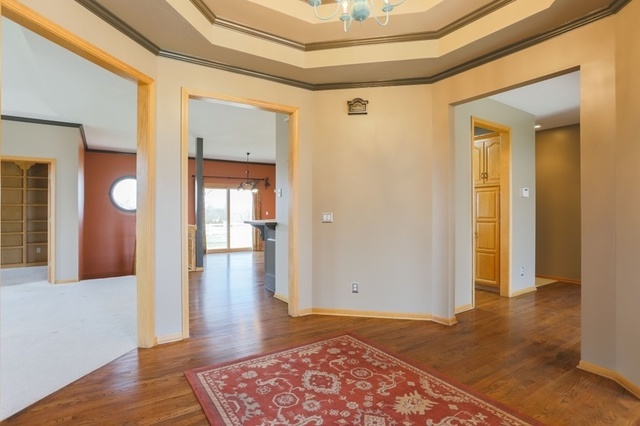 This custom-built, all brick, 4 bedroom, 3 bath true ranch home offers a total of 3752 sq. 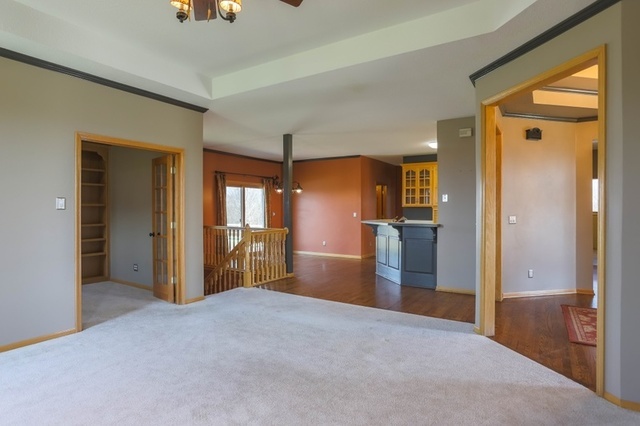 ft. of finished living area including the main floor and finished walk-out lower level. 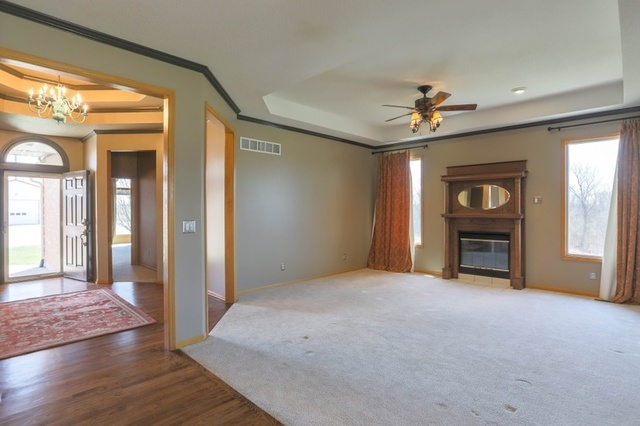 The main floor features custom finishes, warm colors, moldings, trey and vaulted ceilings, 3 bedrooms, 2 full baths, living room with fireplace, den with French doors, dining room, kitchen with stainless steel appliances, refinished hardwood floors and casual dining area, first floor master suite, laundry, recent stamped concrete patio, oversized 2-car attached garage and more. 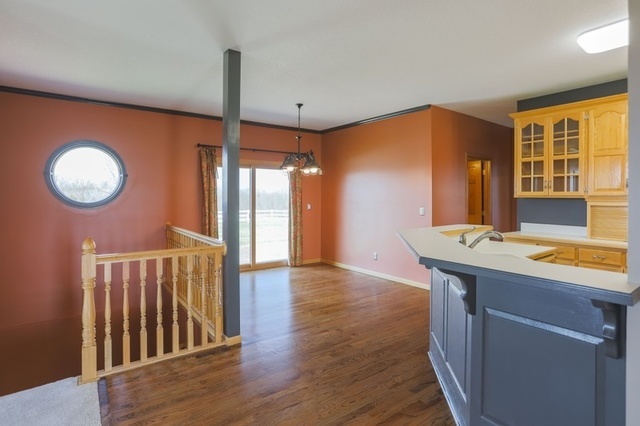 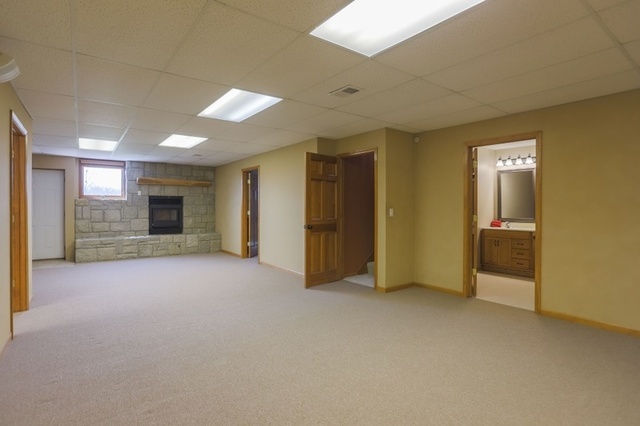 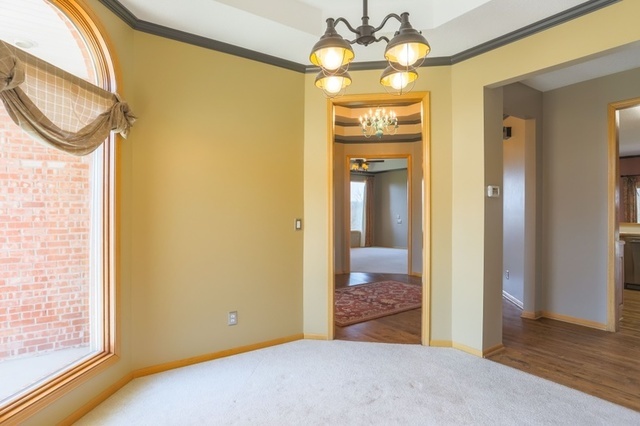 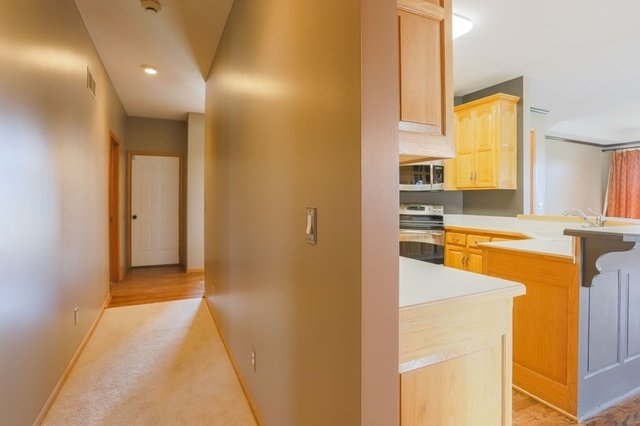 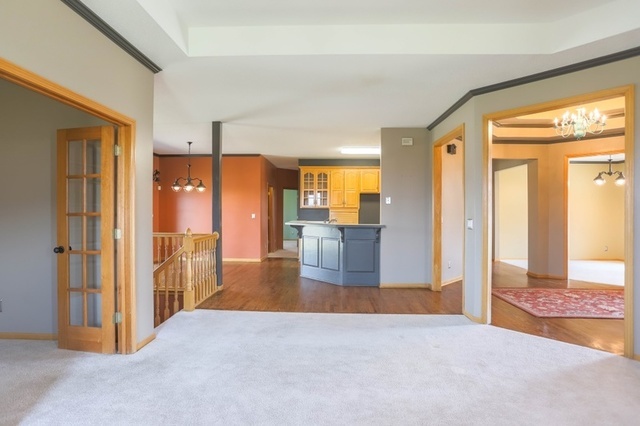 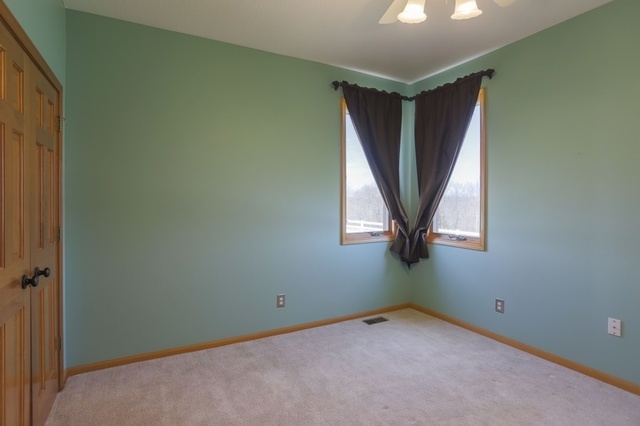 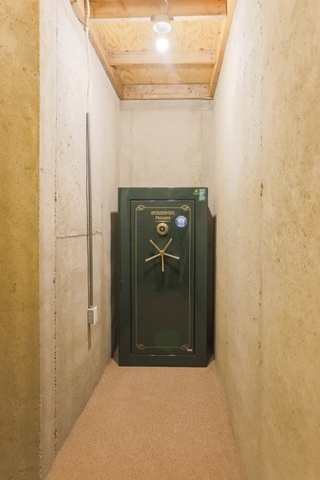 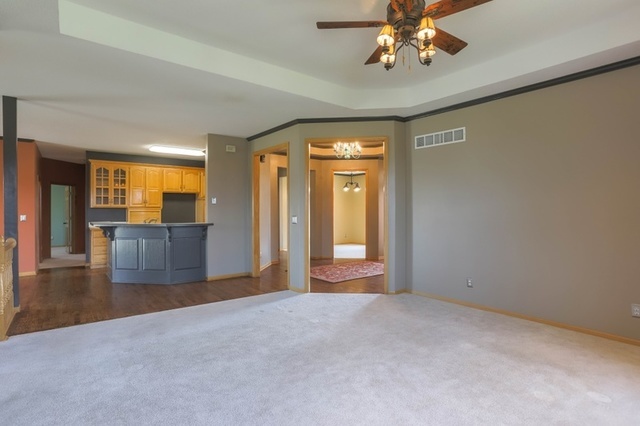 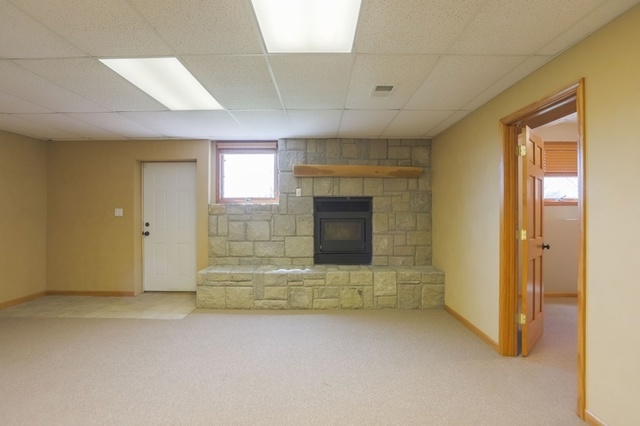 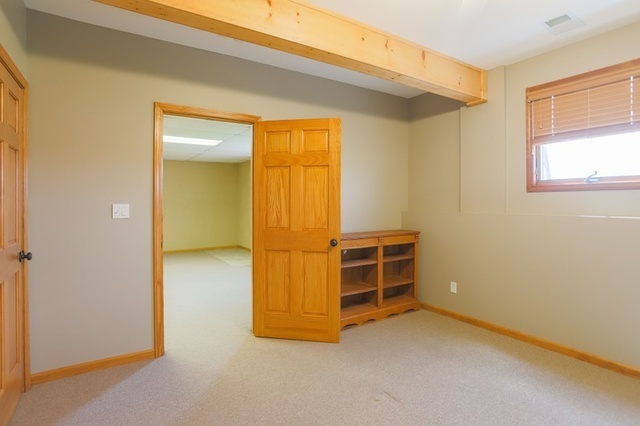 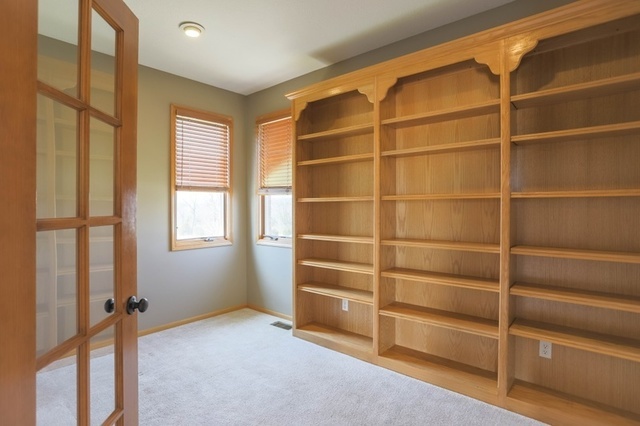 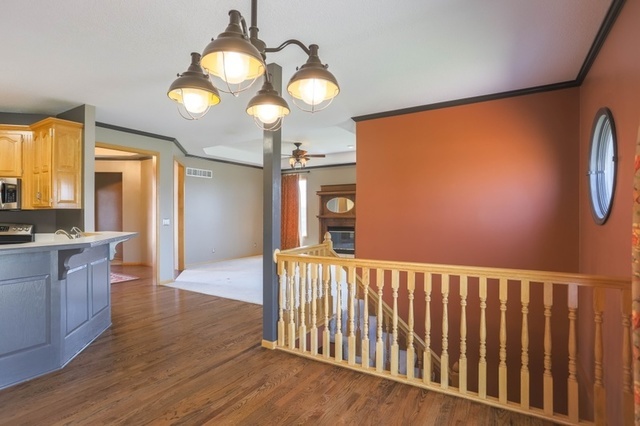 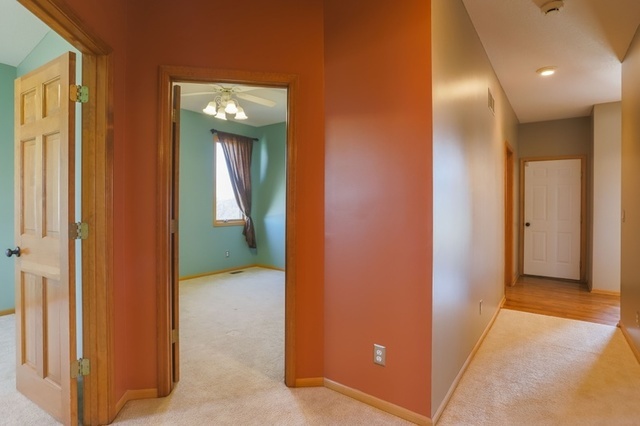 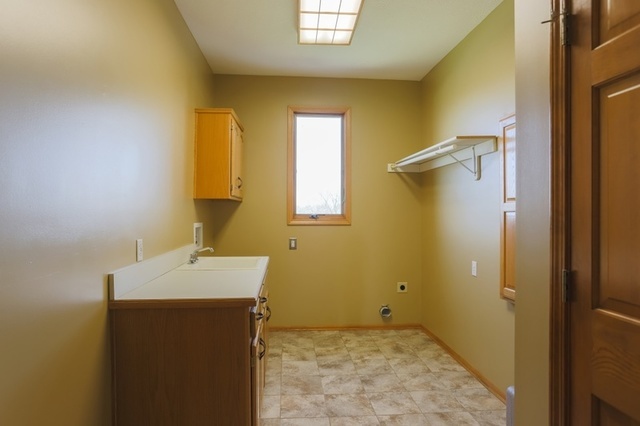 The finished walkout basement features a large open recreation/family room with stone wood-burning fireplace, exercise room, 4th bedroom, full bath, storm shelter, storage room and mechanical/storage room with alarm system, water softener, newer Trane heat pump and two 75 gal. 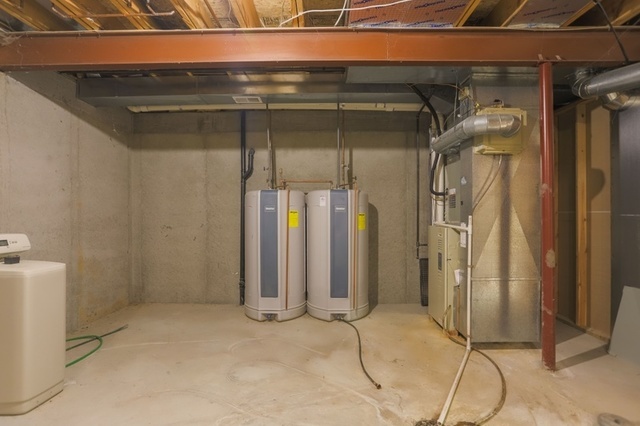 Marathon hot water heaters and more! 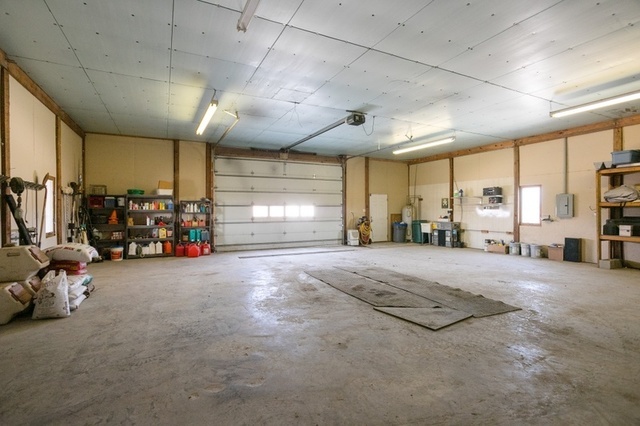 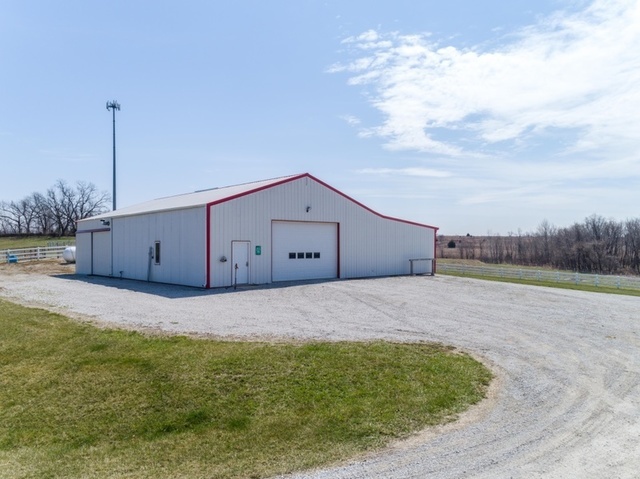 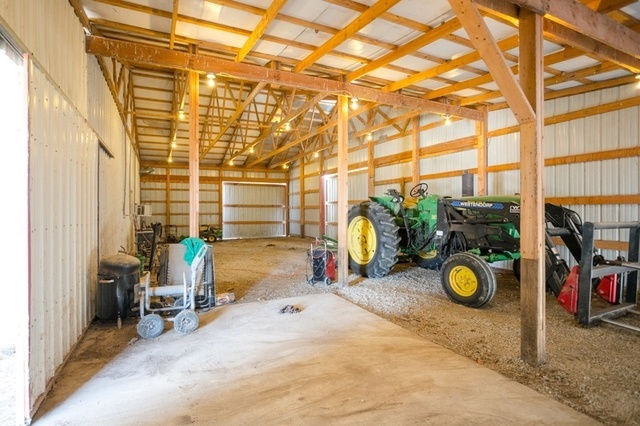 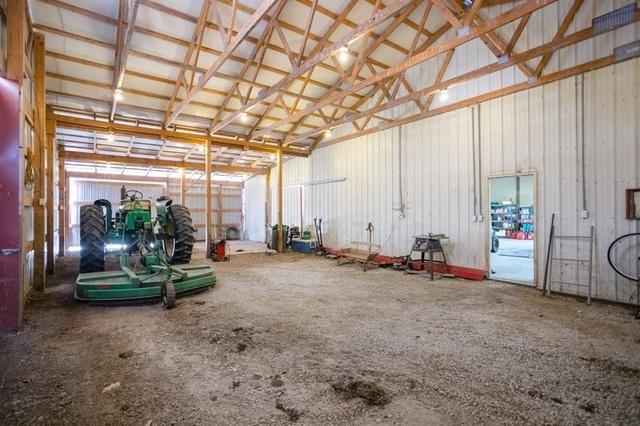 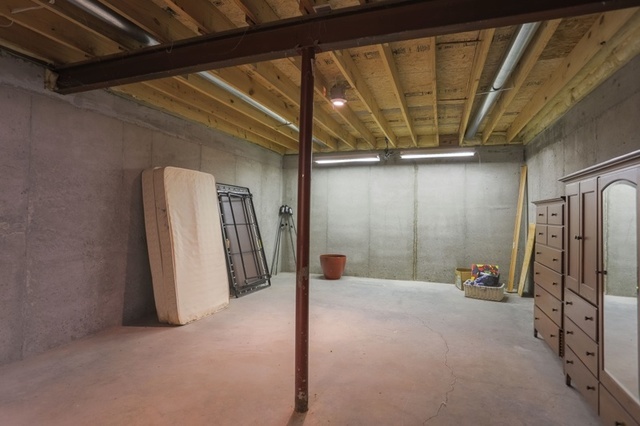 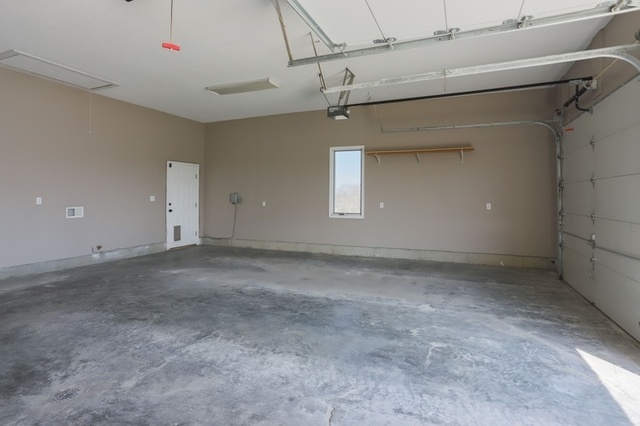 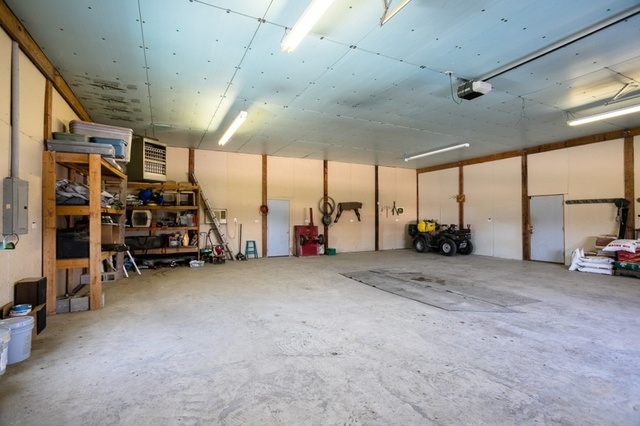 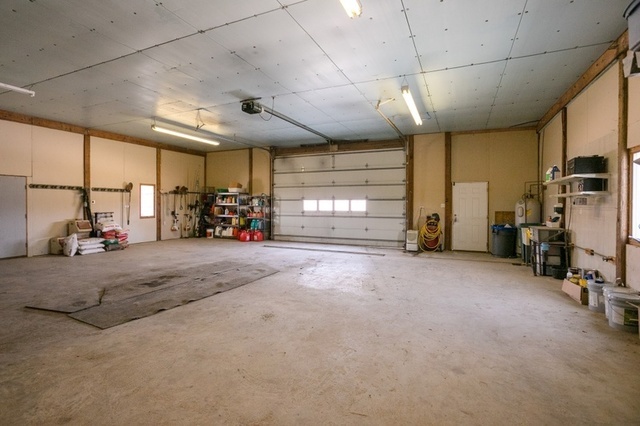 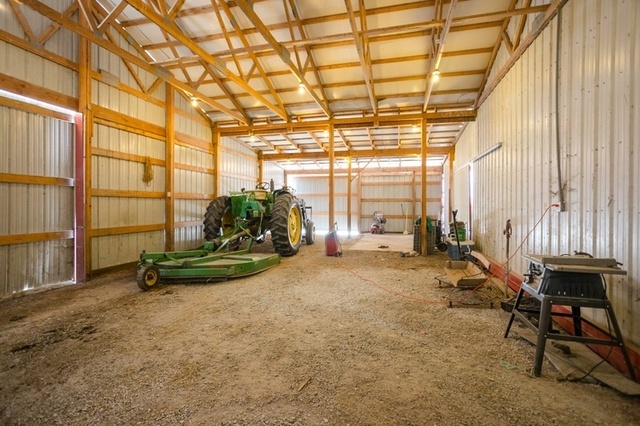 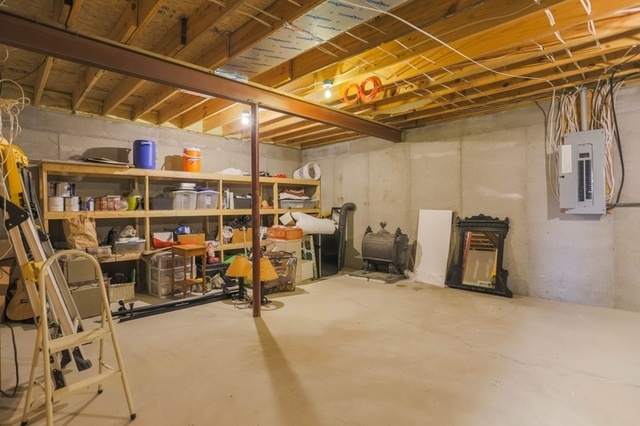 The 60×60 metal outbuilding includes a 40×40 heated garage/shop with a/c, water, 200 amp electrical service, nice lighting, concrete floor, attached 20’ lean-to for covered storage, 20×60 barn addition with drive through access and more! 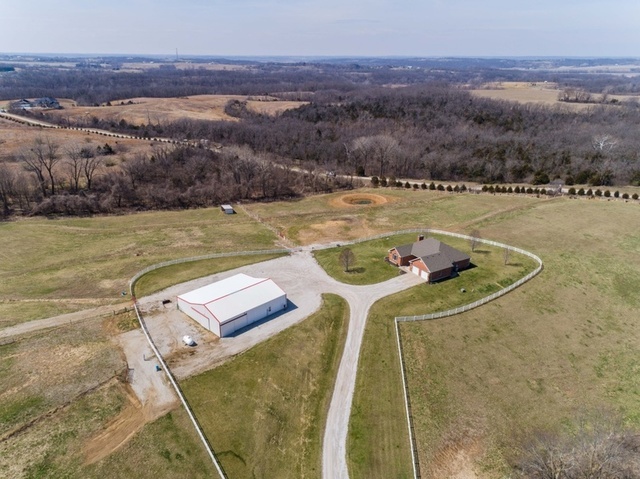 This gorgeous, wooded and rolling 65-acre country estate is both private and picturesque, is situated on a paved road in unincorporated Platte County and offers close-in country living only minutes to city amenities. 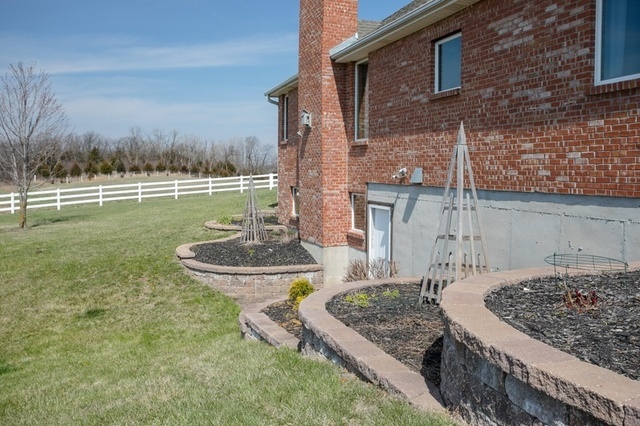 The property features hill-top scenic views, rolling hills, hardwood timber, 3 separate fenced and cross fenced pastures with heated waterers, white vinyl fencing, cell tower, civil war cemetery, wildlife and more! 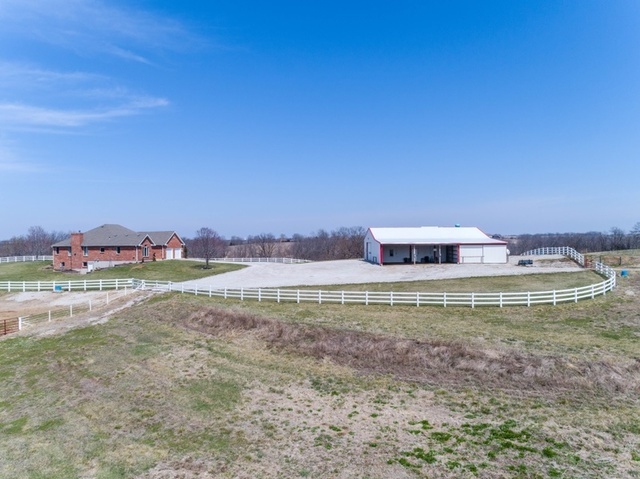 Bring the horses, livestock, 4-wheelers, dogs and kids and enjoy your perfect and peaceful country retreat close to the city. 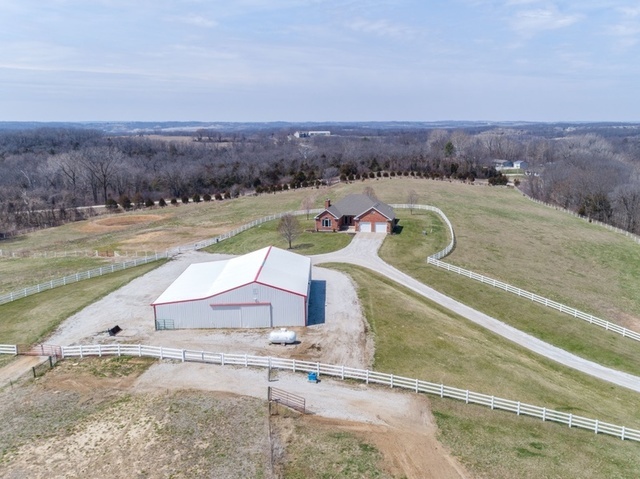 As Kevin and Marsha Christian have built a new home and are moving, we have been selected to sell their wonderful estate property to the highest bidder with No Reserve at public auction. Be sure to tour the property at one of three scheduled open houses, read the property information package, ask questions, get your finances in order and be prepared to bid online or onsite. Bidding will be open online through the auction date and you can also choose to bid live online or live onsite in the auction on May 18 at 1:00 pm. 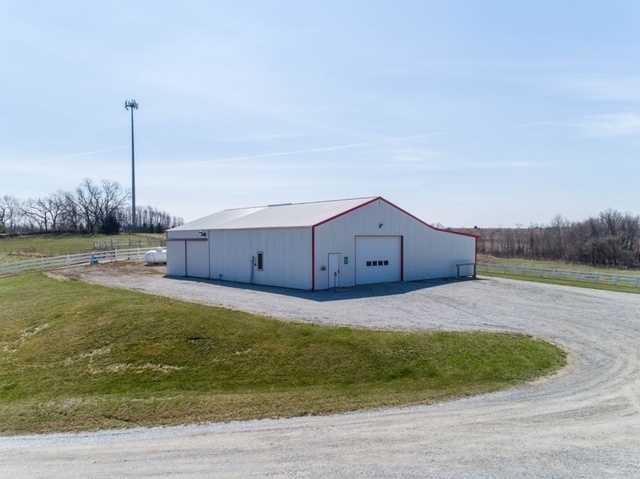 Cates representatives will be onsite for tours and available for questions at the open houses on Sunday April 29, May 6 and May 13 from 2:00 to 4:00 pm. 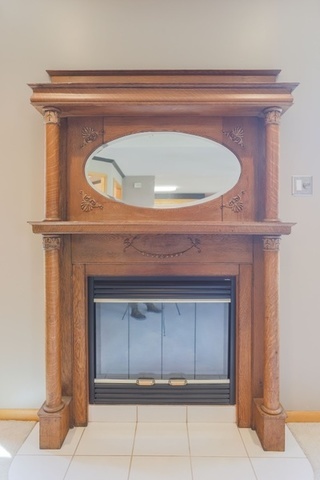 Don’t miss this unique opportunity to bid your price. 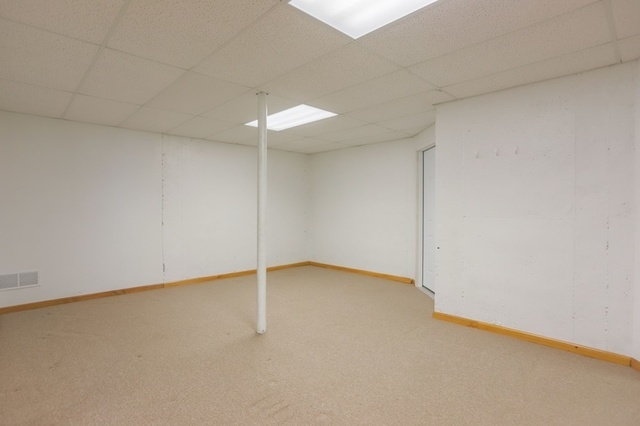 We look forward to your participation in the auction. 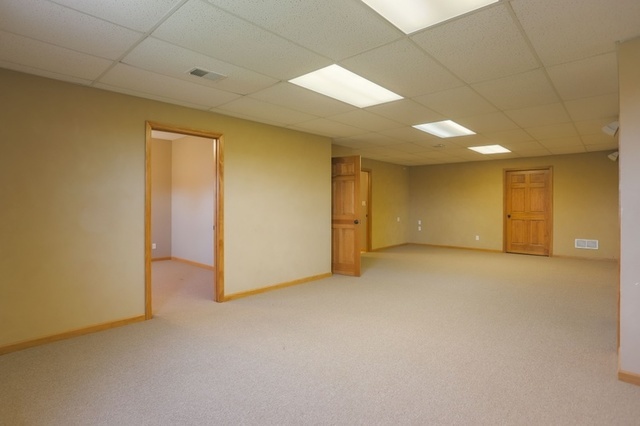 Financing is not a contingency of sale in this offering. 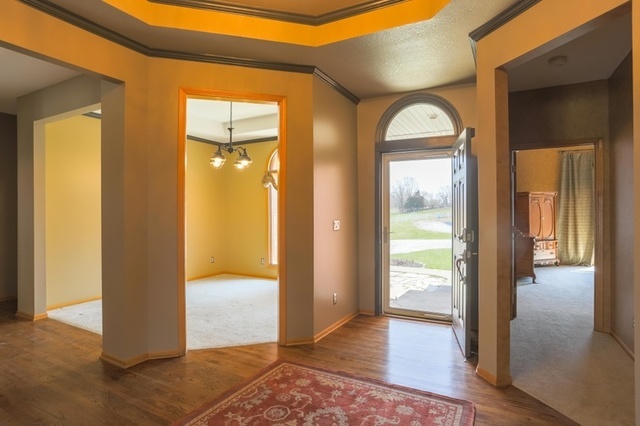 Therefore, it is strongly recommended that potential bidders ensure in advance that they are able to obtain the necessary financing to close the transaction. 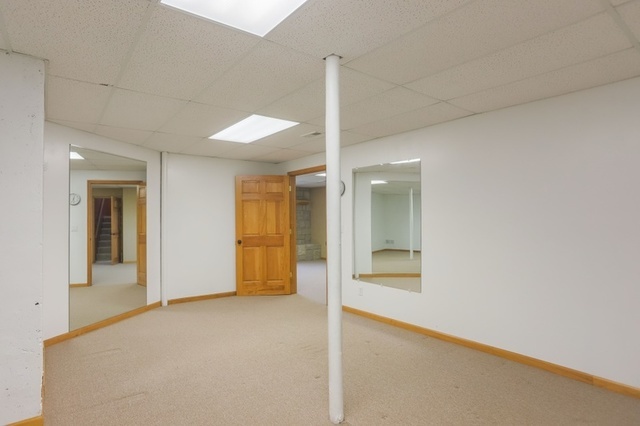 Pre Approval Letter is required. 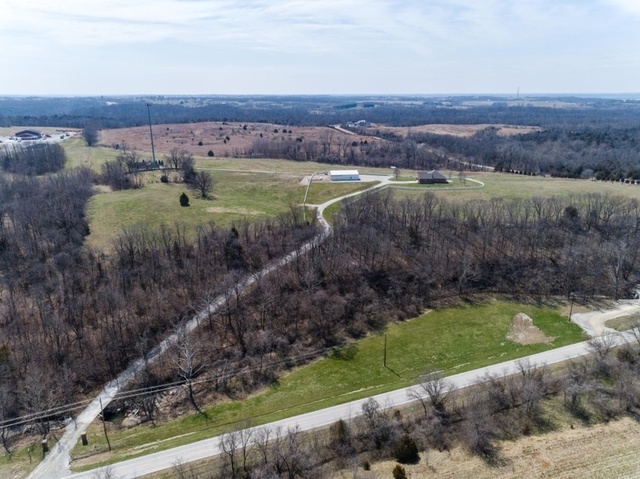 I-435 to NW 120th St. (MO-D), left 1/2 mile to property on left – OR I-29 to I-435 South (exit 17), south 2.5 miles to NW 120th St. (MO-D), right 1/2 mile to property on left.